* The chain is adjustable from 30"-32" with a built-in extender chain and lobster claw clasp. 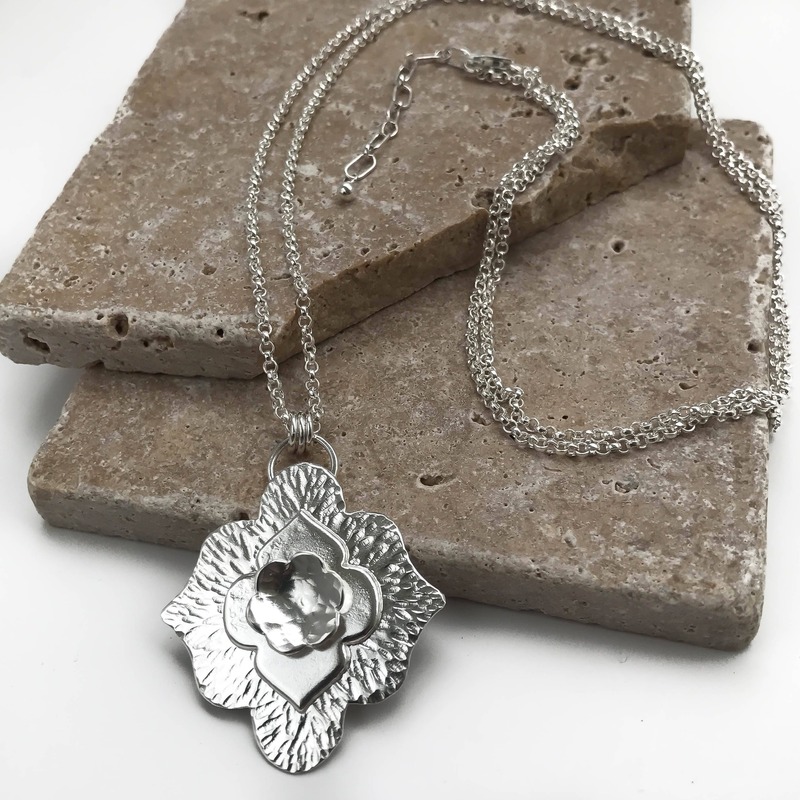 This long silver pendant necklace is handmade with solid Argentium Sterling Silver. I cut out three shapes from silver and gave them each a different texture before soldering them all together to create the pendant. The heavy base layer is given a radiating pattern that I hand hammered with a thin tiny hammer, the middle layer is given a flat satin polish and the top layer I gave a dimpled hand hammered texture and cupped it just enough to add dimension. 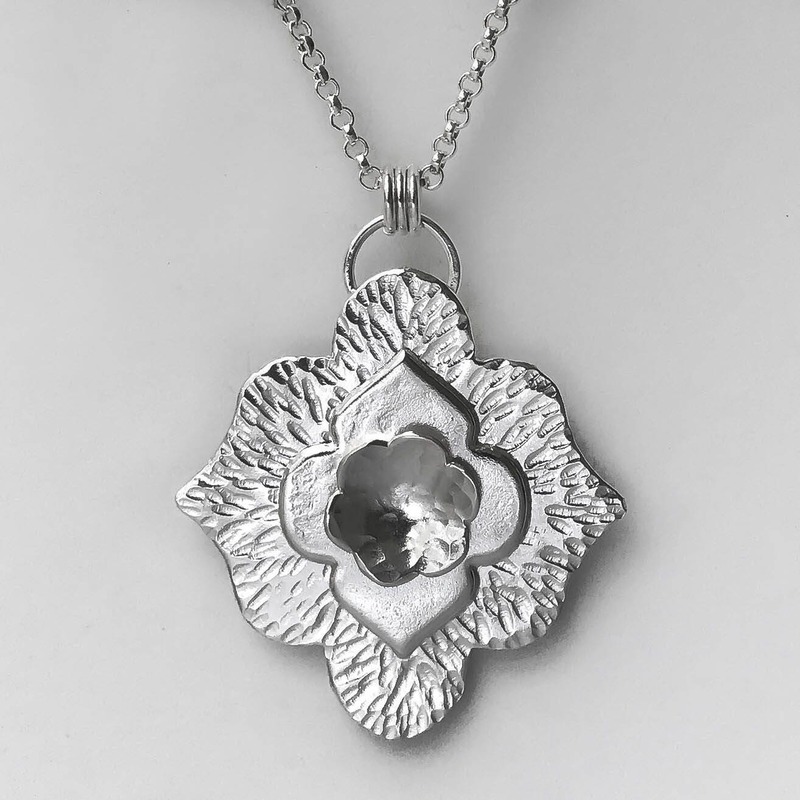 The different textures and patterns are all polished and this pendant captures and radiates the light perfectly. 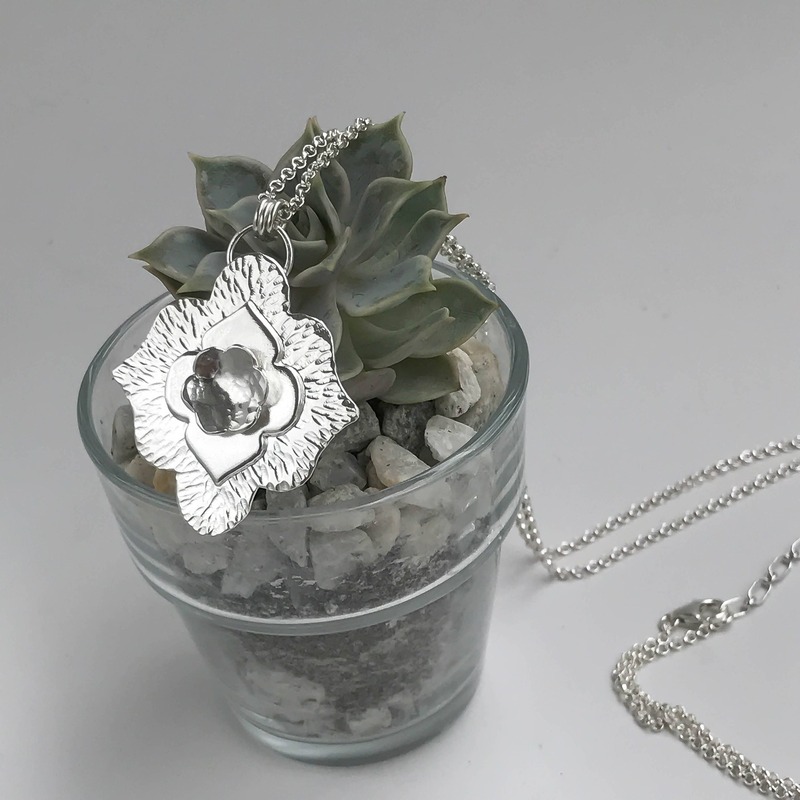 The pendant has a nice solid weight to it so I wanted to use a heavier silver chain, this is very sturdy 3mm cable chain perfect for everyday! 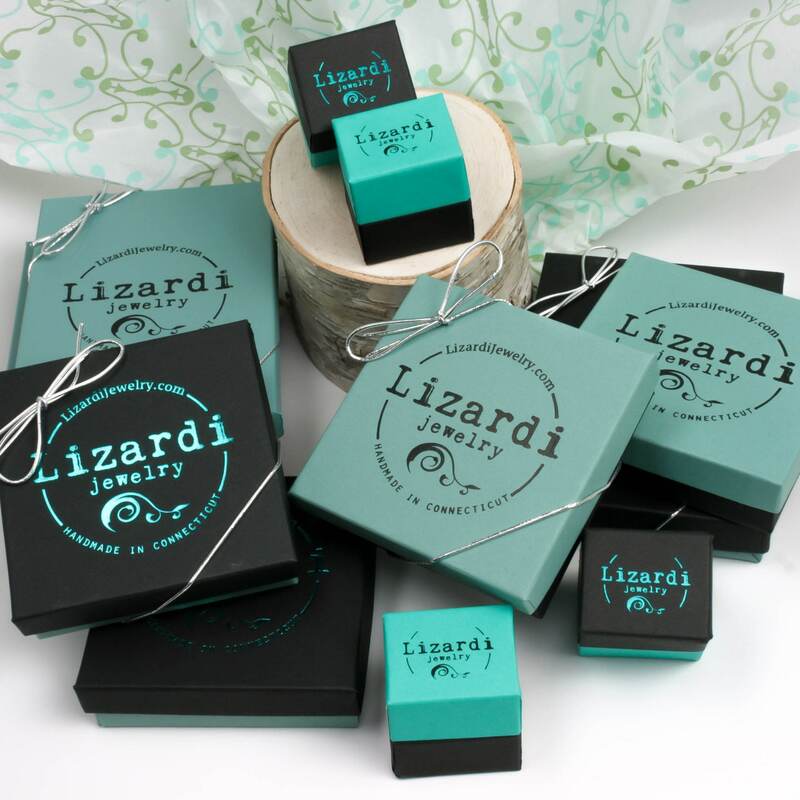 I can't even recall how many times I've purchased jewelry from Lizardi. It's always gorgeous and expertly made. It's the kind of jewelry that when you see if for sale, you know exactly who made it because it's beautiful and creative. Thanks again for the lovely pieces!! Beautiful pendant! Excellent workmanship. Love that it goes with the earrings I purchased earlier from LizardiJewelry. Thank you very much.